As parents, it’s our responsibility to teach kids the importance of nurturing the world around them. But, as we all know, it can difficult to get kids interested in anything we want, let alone something they don’t know much about. So how can we get children to understand why they should care about our planet? These tips can help! The best way to get children to appreciate the planet is to make sure they spend time in nature. It's important to spend time outdoors as often as possible, but life has a tendency of getting in the way. One very attainable goal is to plan something for each weekend. Every weekend, think of one activity you can do outdoors with your kids that combines learning and fun. For example, one weekend you could go to your local hardware store and let your kids pick out a beautiful bird feeder to set up - or better yet you could build one! Once you have your feeder, put it up together, as a family, while you explain the different kinds of birds your kids may see in the backyard. You may even discuss some of the other critter that you may spot (squirrels, chipmunks, and raccoons have been known to try to get in on the bird feeder goodness.) Besides these activities, families can also make a point to plan vacations around the outdoors. Take a trip to the Grand Canyon or one of the many national parks around the country to show your kids a whole new side of the world. With each new adventure, kids will have a greater appreciation and love for the planet. Some locations even have wonderful mini-museums to learn about local history. Sometimes, the hardest part about getting kids interested in a green lifestyle is getting them to understand why it’s so important. Be sure to explain complex topics such as climate change in a way that kids can understand. While these may seem like "big topics", kids are smart and they have a way of absorbing information that most adults I know would envy. They'll get it! For example, put an upside down aquarium outside in the sun and place a thermometer both inside and outside the tank. Show kids that over time, the temperature rises inside the tank. Explain how this is similar to the greenhouse effect; Earth is becoming hotter because of gases trapped in the atmosphere, just like the aquarium is getting hotter because of heat trapped in the tank. When you explain a difficult concept in such a visual way, it’s much easier for kids of all ages to understand. Kids should learn at an early age that all food does not need to come from a grocery store, or at the very least where their food really comes from. As a bonus, children who are involved in cultivation and/or meal prep tend to be a bit more willing to try these new foods. Clear out a small section of the yard, or set up planters in an outdoor space, and allow kids to pick different vegetables they want to grow on their own. Then, help them plant the seeds and keep track of watering the area until sprouts begin to poke through the soil. 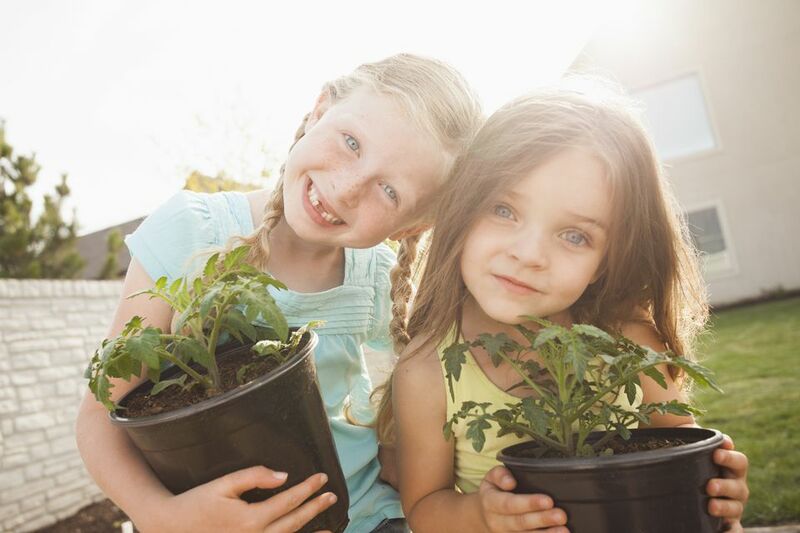 Gardening will not only give kids a sense of accomplishment, but it will also show them there are ways to connect with food than buying everything in a box or plastic bag at the grocery store. Another great way to get kids involved with caring for our planet is by introducing recycling as a fun, friendly competition. Teach kids how to recycle, showing them what materials can be recycled and how to separate their trash. Then, put a recycling bin in each of your kid’s rooms and at the end of each month, see who has recycled the most. You could even encourage them to get creative and find fun ways to reuse items headed for the bin. Perhaps the winner could receive a night off from doing the dishes or folding laundry—your choice! Kids won’t have to be rewarded every time they choose to recycle, but doing it a little can help to make it fun while you get them into the habit. While these are just a few tips to get us started, if we all followed these tips to make kids just a little more interested in the world around them, we could make huge strides towards fostering respect for others and good stewardship for our planet. What Is Biomass Energy? Is it a Practical Alternative to Fossil Fuels?